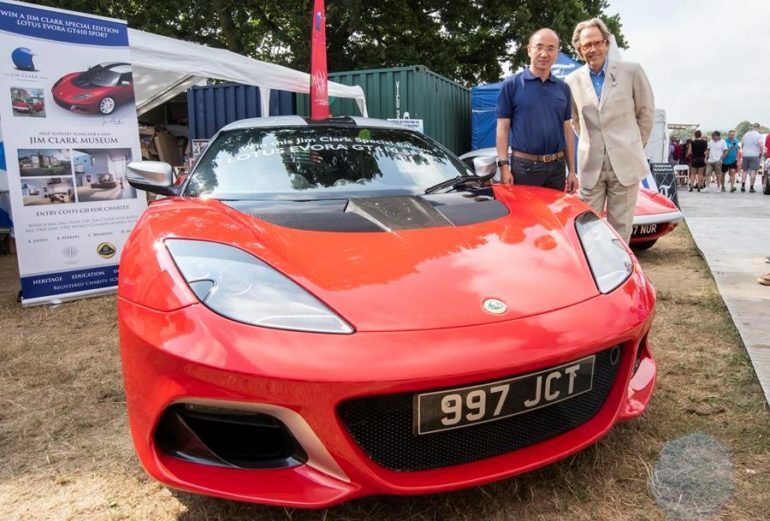 Iconic British sports car manufacturer Lotus has teamed up with the Jim Clark Trust to offer a very special prize to a lucky winner: the 100,000th Lotus sports car built. The manufacture of this landmark car coincides with events to mark 70 years of Lotus and 50 years since double World Champion and Indy 500 winner Jim Clark was killed in a Formula 2 race at Hockenheim. The Scotsman remains the most successful Lotus driver of all time, eclipsing the achievements of racing greats Graham Hill, Jochen Rindt, Emerson Fittipaldi, Mario Andretti and Ayrton Senna. The Jim Clark Trust plans to open a museum in Clark’s honour next summer, and to help achieve this target, Lotus has donated their 100,000th car for a fundraising competition. This uniquely-trimmed Evora recalls Clark’s company car, the first production Lotus Elan S2 (type 26, Chassis 001). Registered 997 NUR, Clark would commute 350 miles from his family home in Duns on the Scottish borders to the then Lotus base in Cheshunt, Hertfordshire. The Elan clocked up over 15,000 miles a year, an impressive statistic for a 1960s sports car. The prize car recreates the Elan’s colour scheme, with red paintwork, a silver roof and wheels, and tartan upholstery. It also carries Clark’s signature on each rear buttress. It’s based on the Lotus Evora GT410 Sport, launched earlier this year and featuring a 3.5-litre supercharged V6 generating 410 horsepower. The 1,256kg car uses lightweight materials including carbon fibre and state-of-the-art aerodynamics to propel it from 0-60mph in just 3.9 seconds. Prices start at £85,900, however this edition is sure to become a collectors’ item. 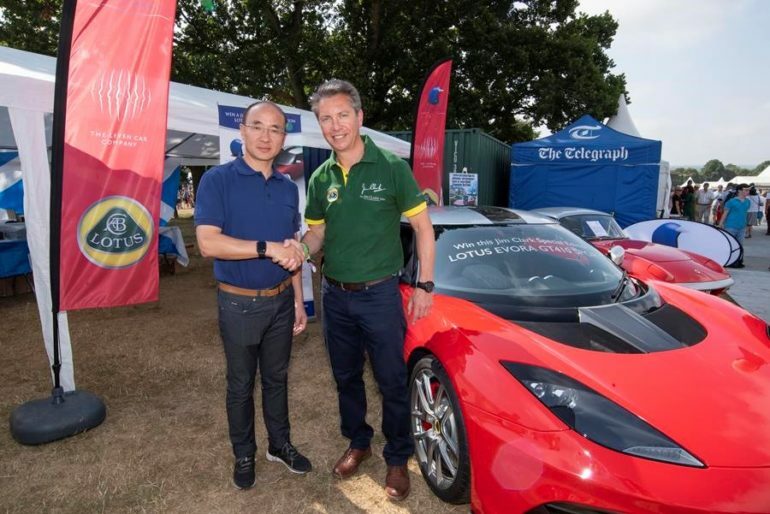 The Jim Clark Edition Evora GT410 Sport was unveiled by the Duke of Richmond, a Patron of the Trust, with Group Lotus Chief Executive Feng Qingfeng and Trustees of the charity at the recent Goodwood Festival of Speed. The competition to help raise funds to support plans for a new Jim Clark Museum is now live online at www.jimclarklotus.com. It costs just £20 to enter, with the winner to be announced at the opening of the new Jim Clark Museum in Duns, Scotland, in summer 2019.